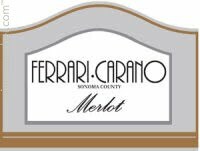 In this Episode, Rob and Scott review one of their all time favorite Merlots in Ferrari-Carano Sonoma County Merlot. Further, Scott tries to argue that the acronym “QPR” isn’t a term primary used by clowns. Will he succeed, or will the fact that word “value” means the same damn thing make him look like a…well now that I think of it he has nothing to lose. Anyway, we shall see…on The Wine Vault. Click below to check on this Episode on our Libsyn site!